Hillsboro Lady Indians third baseman, Christine Page, throws to first base on Tuesday at Paint Valley High School where the Lady Indians scrimmaged the Lady Bearcats. 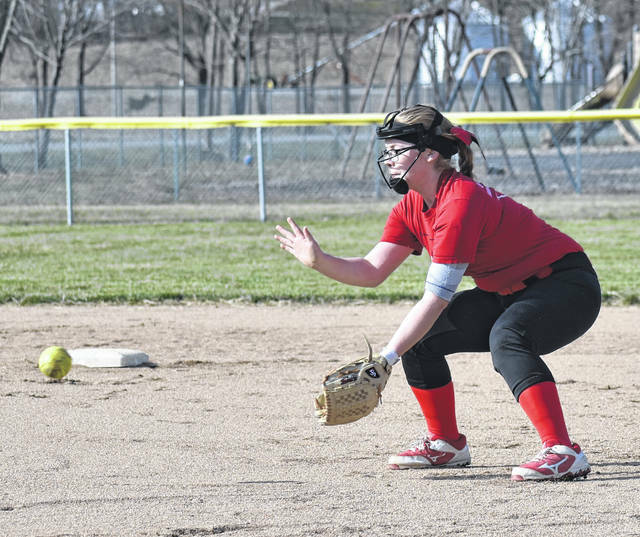 Hillsboro Lady Indians second baseman, Kelcie Thornburgh, gets into position to field a ground ball on Tuesday at Paint Valley High School where the Lady Indians scrimmaged the Lady Bearcats. The Hillsboro Lady Indians softball team will be balanced this season with a good mix of returning talent and new additons with two Seniors, three Juniors, three Sophomores and four Freshmen representing the program this season. Hillsboro Lady Indians Head Coach Katie Moberly expects the Seniors and Juniors on the team to welcome the younger players and make them fell like a part of the team this season. 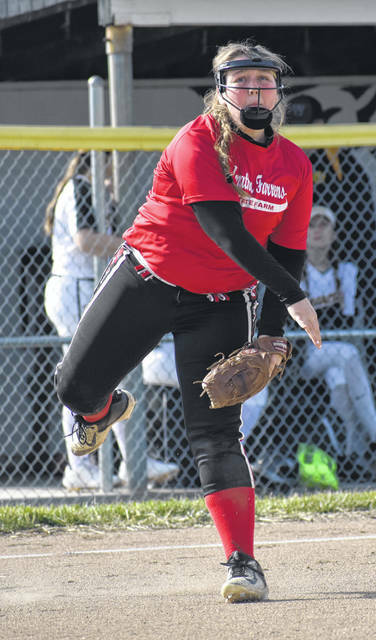 The Lady Indians will find playing time for the Freshmen talent on the roster and expects the younger players to adjust to the varsity level as the season progresses. Moberly made it clear that she thinks all of her players have the ability to contribute to winning this season, otherwise they would not have been selected. Because of the broad range of experience levels and ages on the team this season Moberly has targeted communication as something the team has to master and has seen progress in that area already in the preseason. Moberly is knows that her team has a long way to go especially in the Frontier Athletic Conference but feels that her team will be competitive in every game on the schedule.